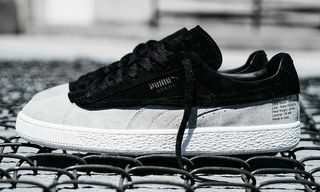 PUMA announces the 50th anniversary celebrations of its iconic Suede silhouette and on this day in 1968 at the Summer Games in Mexico City, American athlete Tommie Smith broke the 200m world record in PUMA spikes, who then walked to the victory stand carrying a single PUMA Suede on his left hand. 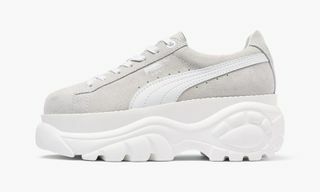 Marking 49 years since the Suede’s first and greatest moment in sport culture, PUMA is officially kicking off the year-long celebrations through its 50th Anniversary in 2018. 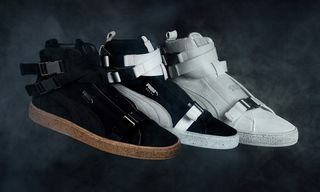 To honor the Suede’s legacy, PUMA is partnering with brand and icons in music, fashion, street, and pop culture to introduce 50 unique drops of the classic silhouette as well as re-releases of beloved OG styles and brand new iterations. 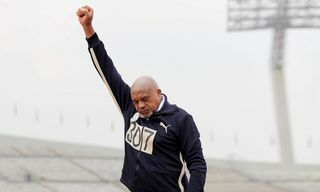 Fittingly, kicking off the celebrations is PUMA’s long-standing Track & Field athlete, Tommie Smith. 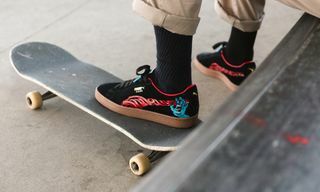 This celebratory Suede 50th Anniversary edition debuts at select PUMA retailers and online starting Saturday, November 4, 2017.